the position of the Director thanks their commitment and talent. They are incredible people, who has been promoting the Idea, Mission and Vision of the Company - together with the Founders of the DuoLife Company - from the very beginning of their activity. They also hold and guard the values of Trust, Honesty and Respect. Tomasz had no experience in network marketing. He gained his vast professional experience in the second-largest food and beverage company in the world - PepsiCo. Norbert had run the insurance business for 18 years. 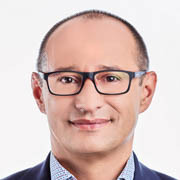 Before his co-operation with the DuoLife Company, for 7 years, he had successfully developed the network business, achieving one of the highest positions in Poland. A businessman, sportsman, traveler. 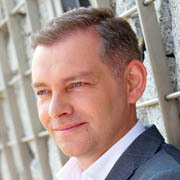 Co-founder of “GObest International” - the first MLM company in Poland. He gained his professional experience running the companies in many Southern and Eastern European countries and in Moscow. A keen sportsman. He loves to create and bring value in the lives of other people. His favorite words are "success" and "effectiveness". Leszek often says that his mental life started from the age of 23 when he met people working in MLM. An entrepreneur, an author, a speaker, and a Leader. Throughout his career, his interests have been centred around the topics of leadership, sales, productivity, marketing and the art of presentation. An author of many publications in the field of building sales teams and effective marketing strategies. A recognized trainer, a lecturer, and a motivational speaker. Dietmar has been with DuoLife since September 2016. 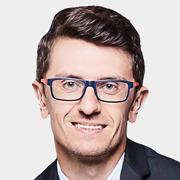 After 166 days of the co-operation with Piotr Gotowicki he reached the position of the Regional Director. 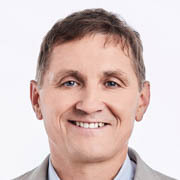 Piotr’s adventure with the DuoLife Company began in September 2016, and after 166 days of his co-operation with Dietmar Dahmen, he reached the position of the Regional Director. She obtained Master of Science Degree in Food Technology at Poznań University of Life Sciences, but she loves her work as a dance instructor, a choreographer, and she is a social activist. Piotr’s inspiring story, which begins with a difficult childhood, proves that success is not a lucky coincidence. He grew up in a Children’s Home, and he dreamt of a family and a job satisfying his basic needs. Małgorzata is an engineer by education. She runs her own financial company. She designs illumination systems. She is the President of Board in the building society. Katarzyna, after a dozen or so years of work in network marketing, felt fatigue and discouragement. When he came to the Club in December 2014 to improve his health, he did not think that in a month he would start to develop the DuoLife business so dynamically. When he finished studies he understood that he had been taught everything but one most important thing - how to live and make a living. Since then he has been looking for the best way to fulfil his dreams. Tadeusz was a salary employee for many years. He always hoped for freedom, in which he could decide on his time and earnings. Being employed on a full-time basis does not provide such possibility. 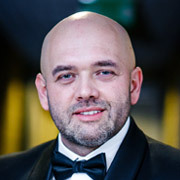 Tomasz Damian looked for an ideal marketing programme allowing him to pursue his favourite work - Internet marketing. For more than 20 years Krzysztof has been a private businessman. He worked in HoReCa and wellness business, developed the network of tanning salons in Silesia, opened a restaurant and a music club. Łukasz comes from a large multi-child family. The only work he knew was his father’s hard full-time job abroad. He decided that he wanted more from his life. 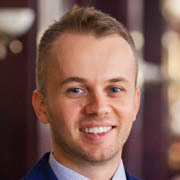 Aliaksandr is a young and dynamic leader of the new generation. He moved to Poland from Belarus in 2006. He was a student without money. He tried in business, corporations and franchises. 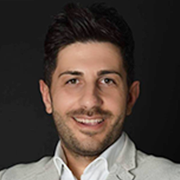 Aldi Parisi starts his entrepreneur activity in 1974, opening facility for production and printing advertising materials. In 1982 he learns about network marketing and cooperates with several companies in this Distribution System, but he keeps his business activity. Zbyszek, after spending many years as a full-time employee, including a third of this period spent working upon contracts abroad and going to business trips, acknowledged the possibility to earn with the DuoLife Club and started co-operating with the company. An athlete, a passionate and an outstanding Olympic Boxing coach, for whom family and freedom of choice have always been great motivation to find a lifestyle that would provide him the full harmony and security. Agnieszka began her professional career in a bank. In no time did she observe that working in a budget sector had many advantages, but also restrictions. Karol, a businessman, has 30-year business experience in different trades: service, commercial, and even in restaurant branches. Marek is the youngest Director in the DuoLife club. His life story proves that personal development has a significant influence on achieving objectives, pursuing hobbies and realizing dreams. Katarzyna started her adventure with personal development and business at university. It is when she got to know the club of financial intelligence CashFlow, which presented her with different possibilities of developing financial freedom. He gained his professional experience conducting business activity in commercial and service branch. He learnt about challenges of an entrepreneur, willing to conduct his own business reliably. As a result of market downturn, he experienced enterprise defeat and radical changes in his professional and personal life. 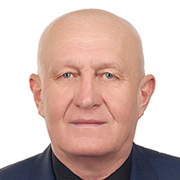 During his 23 years working in MLM, he achieved the highest position in the company, and together with his partners he has built the largest organization in Eurasia, thanks to the effective training system and activities carried out among distributors. With her attitude, Barbara shows that everything is possible and that the impossible only requires more time. She claims that to work with people, you have to get to know yourself, to develop your mindfulness and improve your active listening first. In February 2014, without any experience in SoftMarketing, she joined DuoLife. In the nineties, Nataliya was developing her musical career. These were the years, however, when the arts were going through a crisis.Multi Level Marketing opened a new chapter in Nataliya’s life, by creating new possibilities of creative and financial development. 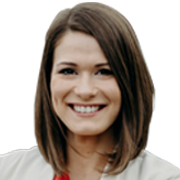 Anna has always worked as a salesperson, accomplishing her tasks and sales goals. When in 2013 an opportunity to cooperate with DuoLife appeared, she thought: "Why not?" After all, it was a new experience and products with which she was working for 10 years. 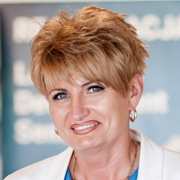 Simone has been engaged in the networking business for more than 10 years. Before networking became his passion, he was an entrepreneur who had his own business in the field of aesthetics. A mother of three, a proactive woman and a manager. She had run her own business for 13 years. She owned a hairdressing salon where she worked herself as a hairdresser and at the same time employed other people. DuoLife appeared in her life during her maternity leave 15 months ago. Previously, for 12 years, she had been employed by an international holding company, where she developed her career from the position of a regional representative to a sales director. 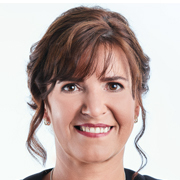 Teresa is a renowned International Health Coach and osteopathic specialist and has 27 years of patient support and coaching experience. Since the first years of professional practice in health care, Theresa's goal has been to ensure that each Patient is able to "reach their 80s with joy and power of life"! Marco Patinha is a Health Economist; he worked as General Director in pharmaceutical industry which carried out Market Research. 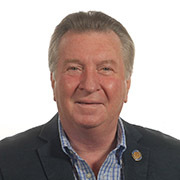 He is a very experienced coach and business trainer, who works in the Commerce Community and in traditional business. This is the man formed by the corporation. Tomasz had no experience in network marketing. He gained his vast professional experience in the second-largest food and beverage company in the world - PepsiCo. He was promoted several times and reached the position of the Key Account Representative, and his duty was to serve key customers and provide an inside sales training. After 17 years of work, when he achieved all which was possible with the first-line sales, he voluntarily quit his job. He decided to devote his time to free enterprise, co-creating a new trend in economy and a new quality in the world of business, health and personal development based on the idea of SoftMarketing. While co-operating with the DuoLife Company he began to take advantage of the Fleet Programme and he currently owns a Mercedes E-Class. Tomasz is with us from the very beginning of the DuoLife Club. He is the man who has always had a huge influence on the company’s image, its shape, and on where we all stand today. His commitment and unshakable faith in the project of DuoLife SoftMarketing is a part of his recipe for success. 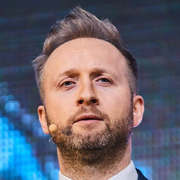 Tomasz is the DuoLife Top Leader, the co-author of the DuoLife Marketing and Compensation Plan, the Ambassador of “I Live Consciously” Campaign and Free Enterprise Trainer. But first of all, he is the father for whom his son, Kamil, is the most important person in his life. Norbert had run the insurance business for 18 years. 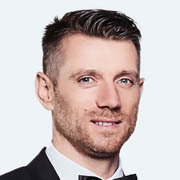 Before his co-operation with the DuoLife Company, for 7 years, he had successfully developed the network business, achieving one of the highest positions in Poland. Many years of work, trainings and the application of knowledge in his daily work, and as a result, just after 3 and a half year of co-operating with the DuoLife Company, he has started to live the life he dreamt about. All he does in his life aims to ensure a healthy life to his family and provide it with financial security. He has been with the company since it started its business operation. Today, thanks to his persistence and commitment, the Club Members in his structure operate in a dozen or so countries. Since October 2016 he has been the International Director. Thanks to the Incentive Plan together with his family he goes to the excursions financed by the DuoLife Company, and upon the “Become a Business Star” Programme he owns a Mercedes E-Class. Norbert is a charismatic trainer, mentor and friend. He starts with “building” people, and then business, he always puts values in the first place. In the interview for the DuoLife Magazine he said, "If you say to yourself ‘I can’t’, ‘I can’t do this’, remember - it is nonsense you’ve believed in. You must change it because this can be done, and I am a living proof of this. All you need is a suitable environment, a positive attitude and a continuous action". She obtained Master of Science Degree in Food Technology at Poznań University of Life Sciences, but she loves her work as a dance instructor, a choreographer, and she is a social activist. Realizing her passion, together with her husband, she established Wielkopolska Fundacja Kultury [Wielkopolska Foundation of Culture]. She founded and successfully ran “Cybinka” Song and Dance Group for children and youth - the group of almost 200 people. To increase her managing skills, she completed the postgraduate Management and Marketing Studies. 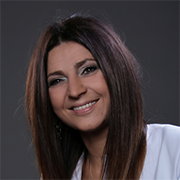 Since 1999 she has run her own Advertising Agency, and currently - a consulting firm. She is a co-founder, and for 13 years has been a member of the board of the Tarnów Association of Entrepreneurs in Tarnów Podgórny. She also belongs to a management of the Inter-Community Association “Dolina Samy” [“The Sama Valley”], realizing the programme of social activation and developing the idea of self-government within the European programme - LEADER. Devoted to the local community, she promoted a healthy lifestyle and actively supported ‘Fundacja na Rzecz Świadomego Życia’ [The Conscious Life Foundation]. Participating in the DuoLife project, from the very beginning, she has perceived it as an optimal way of life. She takes a full advantage of the DuoLife programme, including the Fleet Programme, thanks to which she drives a C-Class Mercedes. In her speeches she often mentions the potential hidden in every man, and whether we can discover it, initiate, use and develop. Piotr’s inspiring story, which begins with a difficult childhood, proves that success is not a lucky coincidence. He grew up in a Children’s Home, and he dreamt of a family and a job satisfying his basic needs. As a teenager he worked hard to earn money for holidays. He did not count on pocket money from his ill mother. When he finished his education he took a job at a filling station. This work helped him to learn and taste an adult independent life, without the parents’ support. Despite unfavourable conditions he decided to take his life in his own hands. As a husband and father he had to take care of his family’s future. After unsuccessful businesses, which were supposed to be a lucky ticket, he was in debt, his marriage hung on by a thread, and he heard his friends scoff behind his back. Growing debts and his wife’s dismissal made the situation even worse, but gave him power to act. For 3 years, apart from his full-time job, Piotr has built SoftMarketing with the DuoLife Company. Helping others he was promoted to a position of the National Director which not only allowed him to quit his full-time job, but first of all, to make his dreams come true: to become a Mercedes E-Class user and to enjoy life. Piotr has never wanted to work for the sake of a lifestyle, now his work has become his lifestyle. She was awarded the title of the “Woman of the Year” in "Health” category by Business Woman & Life magazine within Businesswomen Awards. 20-year experience in finance taught her that it was necessary to diversify the sources of income, and the passive income guarantees the best financial return. 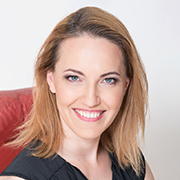 With her extensive marketing experience she realized after taking part in the “I live Consciously” Conference, Business Development Seminars and Leadership Development Seminars, that the DuoLife Club is the only company in Poland which works and draws from relations and values. While popularizing total health education concerning the balance between the physical and mental health, personal development and sound finances, she fulfils her social role. By promoting these rules, Małgorzata developed the DuoLife Club community in Poland and on foreign markets. She helped many people recover health and financial independence. She supported them in achieving success, changing their lifestyles, increasing their self-confidence and making their dreams come true. Since autumn 2016 she has been the National Director. Thanks to the Fleet Programme she drives a Mercedes C-Class. Promoting health, she enjoys life. Katarzyna, after a dozen or so years of work in network marketing, felt fatigue and discouragement. During that time she had to organize and lead product presentations alone and to face the fact, that western companies treated Poland as the last link in the food chain. She did not believe that any company would yet be able to convince her to co-operate with. After the first conference with Piotr Kardasz, PhD she was certain as for the quality of the products. Moreover, one of the Business Development Seminars showed her promising financial possibilities and a huge potential hidden in the entire DuoLife project. Therefore, together with her husband Zbigniew, they decided to quit all previous business actions and to start building their position in the DuoLife Club. She quickly noticed that the DuoLife Company offers system-solutions to everything. Katarzyna is healthier, feels younger, she has recovered the sense of financial security, she keeps on developing and learning. She says that thanks to the development programmes (Leadership Development Seminars, Membership Educational Cycle) she perceives the world in more positive light and she communicates better with her family and the team. Since March 2017, Katarzyna has been the National Director. Since March 2016, she has been enjoying the DuoLife Fleet Programme. She drives a Mercedes GLE. 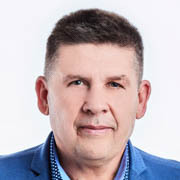 Zbigniew has been an entrepreneur since 1990. He used to employ 80 workers. Acting in corporations, he trained employees in the field of professional competence. As an analyst, he saw a tremendous potential and opportunity for everyone in the DuoLife Compensation Plan. He has developed his own on-line system of working which he uses to establish and maintain business contacts. He firmly believes that the most important principle in this project is building a business with other people, and not on other people. He loves travelling with the closest family. His passion is mountain trekking and reaching peaks, just like in business. He relaxes at sports bridge tournaments. He says that the strategies of playing a game translated into actions in business. He loves his garden which he created from scratch. This passion has helped him to understand that the plants are like people. The more you care about them, the more they grow. This principle applies in his team. His maxim is: "Build a man and a man will build a company." A little man with big dreams. He loves to create and bring value in the lives of other people. His favorite words are "success" and "effectiveness". Leszek often says that his mental life started from the age of 23 when he met people working in MLM. Inspired by the idea of entrepreneurship and leadership, he founded the first official financial intelligence club CashFlowClub and the Toastmasters club in Bydgoszcz. 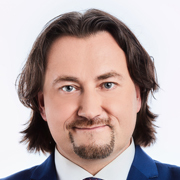 He is the creator of the organization of leaders and sellers “Sukces Marketing” and the social-educational portal Success Marketing.pl. He is a Trainer and Coach learning from well-known and respected Trainers like Brian Tracy, Robert Kiyosaki, T. Harv Eker. Together with his beloved life and business Partner, he travels around Europe and Asia every year. He is a happy Mercedes C class owner as the part of the incentive program. One of his most important goals is to create the best leaders in the SoftMarketing industry with the ethics of work, charisma and sales skills, relationship building and public speaking. He often emphasizes that one of the best moments in his life was when he joined the DuoLife Club, where the owners and the key leaders reflect the same values and life goals. An entrepreneur, an author, a speaker, and a Leader. Throughout his career, his interests have been centred around the topics of leadership, sales, productivity, marketing and the art of presentation. The author of five business books, including two best sellers. 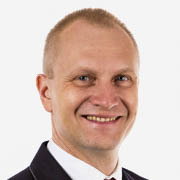 A university lecturer at Master of Business Administration at Łazarski University in Warsaw. During his teaching career, he spent more than 10.000 hours training other people. A winner of the fourth edition of the Polish National Sales Awards competition which puts him in a small group of the best specialists in the area of professional sales in Poland. 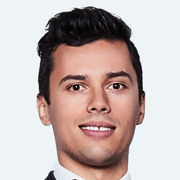 With his marketing team, he supports known Polish and international brands in the field of Internet sales, developing strategies and building a dominant position in the market. He advises the boards of several major companies on the market in terms of sales and marketing. 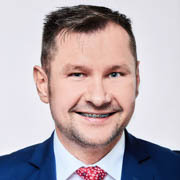 An author of a blog and podcast: "W drodze na szczyt [On the way to the top]", where he tells how to become a better Leader, increase sales, and develop business faster. In the DuoLife Club, he was enthused by the idea of the Softmarketing™ and the rule "man in the centre of attention". - capabilities of a marketing plan. Life motto: "Do it now. Procrastination is a natural killer of success." An author of many publications in the field of building sales teams and effective marketing strategies. A recognized trainer, a lecturer, and a motivational speaker. He has made many recordings of training in effective sales and personal development. Creator of system sales solutions. A winner of the prestigious competition of Polish National Sales Awards Professional salesman of the year"
A Member of the TOP Leaders Club. Member of The Association of Professional Speakers. Member of the Audit Committee of Polska Akademia Zdrowia [Polish Health Academy]. An author of the book: "Pułapki nie tylko w biznesie [Traps not only in business]. Paweł used to say that a smile is cheaper than electricity and gives more light. He also notes that positive energy can be brought out from every interaction with another human being. Dietmar has been with DuoLife since September 2016. 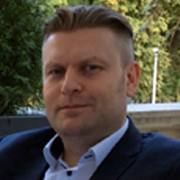 After 166 days of the co-operation with Piotr Gotowicki he reached the position of the Regional Director. This brilliant achievement was the effect of his six-year experience in network marketing. Before that, for 25 years he had worked successfully in International Logistics. At the age of 45 he realized that even generous salary he got as the President of the Board was not worth being responsible for over 300 workers and the amount of time devoted to work. He used to leave the house in the mornings when his little daughter was still sleeping, and when he returned home the little one was already asleep. This was not the life of his dreams. At the age of 47 he left the logistics business and got involved in network marketing. According to Dietmar, business in network marketing is not ideal, yet it is better than many other solutions available on the market. It was the DuoLife SoftMarketing, in which he discovered a component which was missing in his earlier business projects. For him, personal development is the key to success. The possibility to co-operate with professional trainers and the application of tools, which according to him, are crucial in eliminating the “Chinese whispers effect” and allow everyone to achieve the above-average results. One of the tools, thanks to which Dietmar’s business has been developing so fast, is a Jaguar XF, which he uses within the programme “Become the Jaguar of Business”. Piotr’s adventure with the DuoLife Company began in September 2016, and after 166 days of his co-operation with Dietmar Dahmen, he reached the position of the Regional Director. He owes this result to, among others, his seven-year experience in network marketing. He is the example of a case proving that the accumulation of experiences combined with persistence and perfect tools to build business, can produce the above-average results in a very short period of time. Already in October 2016, taking advantage of the “Become a Jaguar of Business” Programme, he started to drive a Jaguar XF. Nobody is a born professional, and Piotr has also looked for his way for a long time. For 16 years he had worked in traditional business, which he quit at the age of 36 in order to involve in network marketing. According to Piotr, traditional business is not bad, but it may happen that when it is not successful, you end up in debts, which can destroy your life. The DuoLife SoftMarketing has fascinated him since the very beginning. He missed that component in his earlier business activities. It is personal development, which according to Piotr, is the key to success. Ever since personal development appeared in his life, everything has begun to find its place. Today, while doing business with the DuoLife Club, he no longer has to worry about people in his organization, because every Club Member can co-operate with professional trainers. He is an English teacher by education. He worked full-time in Poland and abroad, ran companies recording a turnover of a million or more, including a language school franchise. However, none of these paths has led him to a happy life, yet in the opposite direction. After 10-year work he began to suffer from professional burnout, he had financial problems, and his son got seriously ill. Then his friend invited him to the “I Live Consciously” Conference. Immediately did Dariusz understand that the DuoLife Club and the SoftMarketing were a chance to make his dreams come true, and despite his commitment in other business projects, he decided to take the risk. It was worth it. Not only did his son quickly recover from his illness, but after just 4 months, Darek, as the first in DuoLife’s history, collected a Mercedes CLA. The joy and satisfaction made him and his wife persistently realize the vision of helping people to recover health and feel better, to regain their lost motivation and to repair their financial condition. The next step in the way of his development was a company working in the affiliate marketing business. Unfortunately, the constant pressure and emphasis on the weak points led him to resign. Another career path led him to a corporation. Fast promotion and good financial gratifications gave him joy at first, but at some point he was unexpectedly released from cooperation. At that point, he decided to start his own business in the retail sector, which began to function quite well. However, this way was not the best solution too. He worked 24 hours a day and he was carrying the whole load there: purchases, sales, logistics, billing, financial obligations, employees. At that point, the DuoLife Club appeared in his life. He saw the opportunity to build a network business based on SoftMarketing™, which focuses on three key areas of human life: health, personal development and finance. Currently, thanks to the cooperation with the DuoLife Company, Tadeusz also uses the incentive plan and drives the Jaguar XE. 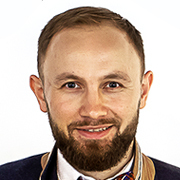 Tomasz Damian looked for an ideal marketing programme allowing him to pursue his favourite work - Internet marketing. Ever since he learnt about the DuoLife SoftMarketing business model, his career has taken off. He has been the most quickly nominated Regional Director in the DuoLife company’s history. The key to his success was, among others, a sensible application of on-line techniques. He started to teach these techniques to the other Club Members. Within seven months he has built a team of above 900 people and recorded a turnover of more than a million PLN. His motto are Will Smith’s words, “Do what you love and love what you do”. He inspires and motivates people to freedom. In no time at all did he help 10 people to qualify for a car. He also uses DuoLife Incentive programs. Thanks to this, he spent a great time with DuoLife Company on the Crete Island, and he drives a Mercedes E-Class. One day while talking with his friend over a cup of coffee he was asked the following question, “What would happen to your business and finance, if, from tomorrow, you wouldn’t be able go to work?”. Then he realized that traditional business will always require 100% commitment and make him sacrifice his time. Since that moment he was looking for a project which would generate passive income. He joined the DuoLife Club in October 2013, and started to do business with the DuoLife Company in March 2015, implementing his business experience. He is currently the Regional Director and combines traditional business with the Duolife SoftMarketing. Thanks to the Fleet Programme he drives a Mercedes CLA. Łukasz comes from a large multi-child family. The only work he knew was his father’s hard full-time job abroad. He decided that he wanted more from his life. He started his own company and the co-operation with a network marketing company. However, it was the idea of the SoftMarketing and the DuoLife project which have allowed him to develop and follow his hobbies and passions. He got involved in this business with full determination and commitment. He was ready to venture his entire time, capital and energy in order to succeed. He believed that the co-operation with the DuoLife Company will finally allow him to spend more time with his family, to meet with friends, and to pursue his hobbies. He helped people become richer - mentally, emotionally, spiritually and of course, financially. Thanks to the DuoLife Fleet Programme he drives a Mercedes CLA. 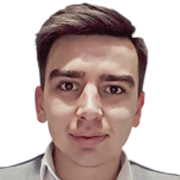 Łukasz often repeats to his colleagues, “I am convinced that complaining is definitely the worst thing you could do for both your health and your financial condition. I firmly believe in the truth of the universal right which says that what you focus on, grows”. 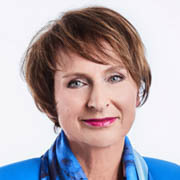 Agnieszka began her professional career in a bank. In no time did she observe that working in a budget sector had many advantages, but also restrictions. She was promoted quickly, because by then she lived by the motto, “Give the others what you would like to get”. When a large corporation was entering the market, she confidently accepted an offer of co-operation. After the first year, she was promoted and in the following years she was always among the best managers in Poland. While the corporate work totally absorbed her, her health deteriorated, so she was forced to slow down. Looking for natural methods of treatment she found a solution, which helped to improve her health condition. In June 2015 in Gdańsk, she attended the “I Live Consciously” Conference led by Piotr Kardasz, PhD. Enchanted with the knowledge and the way the lecturer passed it on, she thought she would have to be an egoist not to share this knowledge with others. She joined the DuoLife Club and within 3 months she became the Manager and the organizer of the “I Live Consiously” Conference. Drawing from the Programme called “Become a Jaguar of Business”, since December 2016 she has driven Jaguar XE. Agnieszka is currently the Regional Director, but she still has her goals and dreams, because she thinks that people are like flowers and they live in order to bloom and develop. Zbyszek, after spending many years as a full-time employee, including a third of this period spent working upon contracts abroad and going to business trips, acknowledged the possibility to earn with the DuoLife Club and started co-operating with the company. Moreover, his trigger to act was his awareness that he had long been interested in supplementation. He has always stressed that the main reason he immediately decided to start permanent co-operation with the DuoLife Club was the fact that he knew its Founders and their achievements. He has been with DuoLife since the very beginnings of the company, and he quit his full-time job for it. Freedom, independence, promotion of splendid values, great people and unlimited possibilities for earning money – are the factors he found in the DuoLife Company. Over the past 8 years he has worked with outstanding MLM business representatives, learned classical systems and techniques from people with rich experience and traditions. In a short time he reached the TOP level in the industry, developing international business on 5 continents in 42 countries of the world. He saw a huge potential and possibility of global expansion in the idea of software marketing, which attracts interest among people not only on European markets, but also in Asia, America and Eastern Europe. In his opinion, today it is necessary to combine an innovative approach and provide people with proven and accessible solutions because everyone can lead a better life, be healthy, rich, and make use of softmarketing and the capabilities of the DuoLife Club. Currently his team is successfully developing and bringing the idea of softmarketing to international markets. Already in the first four countries there are the DuoLife cars (Jaguar, Mercedes-Benz and Land Rover) and the number of leaders and new countries on the map of the Club will continue to grow. He is a brilliant example of the impossible becoming possible. From 2007 for more than 10 years, he is cooperating full time with one company in network marketing – FM Group World, becoming a professional Networker and totally cutting himself from normal work. He gains maximum qualifications in Marketing plan and important social, personal and economic development but recently he did not share strategy. At the end of 2017, he starts cooperation with DuoLife, sharing goals, mentality, reference market, marketing plan, taking into consideration that it is useful for people from own network, who in turn appreciated it and shared this project. He wants to contribute to the development of this company with his own experience as a Private Entrepreneur and success Networker, who is sure that his son and many other young co-workers will be able to work with it. Katarzyna started her adventure with personal development and business at university. It is when she got to know the club of financial intelligence CashFlow, which presented her with different possibilities of developing financial freedom. Another step was organization Toastmasters – meaning incubator of speakers and leaders. Being extremely impressed by this form of education, Katarzyna decided to promote that idea and in October 2011 she established club Toruń Toastmasters and became its first president. In parallel with development, Kasia was taking her fist steps on business path. She started cooperation with Polish company from FMCG industry, where in several years of consistent work she developed a big team of successful people. In the meantime, she also became a licensed coach of unique STRUCTOGRAM® method. She was developing her knowledge on workshops conducted by mentors such as B. Tracy, A. Robbins, R. Kiyosaki or Marcus de Maria. In May 2017 Katarzyna started cooperation with DuoLife. As she says, she was mostly convinced by effectiveness of products and right values in the stream, in which the company’s philosophy is conducted. 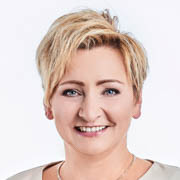 Since February 2018, Katarzyna has been a Regional Director. He was searching for return path to independence and financial freedom. 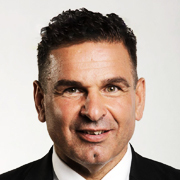 He started from the scratch, working as a Representative, then a Leader and eventually as a Director in the international company of direct sale – Vorwerk. Those rapid promotions allowed him to regain faith in himself. However, corporation environment was not the best place for him for further development. Another possibility came from online marketing - hope and confidence in return to peace. Searching the path is necessary to find, personal experiences are necessary to verify. He registered to DuoLife in December 2016 and after 15 months of intense actions he became a General Director. In December 2017, he started to use Fleet Program and he drives black Jaguar XE Prestige. Promoting the latest knowledge about health caused his engagement as an Organizer of Conference “Live Consciously” under All-Poland Conference for Conscious Life, held by Institute of Health Prophylaxis. Roman came to MLM in a dramatically difficult financial situation, but he used this opportunity to get out of it. In 2001, his name as a successful entrepreneur was placed in the "Who Is Who in the World" catalog. The company with whom Roman cooperated, however, left the market. For two years, Roman was looking for a different alternative - with a dynamic, intellectually organized business development process and convincingly effective products. SoftMarketing made a huge impression on him because DuoLife strengthened and enriched him with new methods. 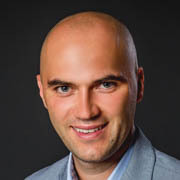 The success of Roman's team is based on the belief that successful SoftMarketing is and should be an activity in the field of mutual support and personal activity. Thanks to DuoLife, she decided to “get out of the entrepreneur’s golden cage” and gradually close the companies that did not guarantee her a passive hereditary income. Currently, DuoLife is her family business. She forms it together with Sebastian and her daughter Sonia, believing it is the right direction. She cares for her children’s development from an early age, which is why her daughter Julia, despite being only 17, also joins the project by participating in different events and training workshops with parents, and her 9-year-old son Kacper participates in all the workshops for children organised by DuoLife during the LDS. Marek is the youngest Director in the DuoLife club. His life story proves that personal development has a significant influence on achieving objectives, pursuing hobbies and realizing dreams. He started his first work at the age of 16. He worked full time, and in corporation as a salesman, he also tried his hand at MLM with the use of Internet. At the age of 24 he realized that having a good job and high salary is not the limit of his possibilities. The wish to help others by the use of financial leverage, made him join the DuoLife club on October 16, 2016, and find his own way at SoftMarketing in which a man is the centre of attention. Yet within the first month of his work, he qualified for the “Become a Jaguar of Business” Programme, and since March he has been driving Land Rover Discovery Sport, which is fully financed by the company. 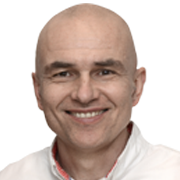 Marek is a regular participant of the development programmes organized within the Personal Excellence Network. Moreover, he has been developing his skills at Momentum Way coaching academy. A businessman, sportsman, traveler. 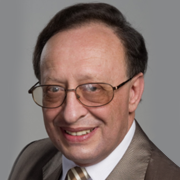 Co-founder of “GObest International” - the first MLM company in Poland. He gained his professional experience running the companies in many Southern and Eastern European countries and in Moscow. A keen sportsman. A triathlon competitor, and a fan of endurance sports, skiing, cycling, running; and healthy lifestyle. Multiple winner in such sport disciplines as: MTB, road cycling, middle-distance running, marathons, and triathlons. He joined DuoLife for passion and natural supplements which ideally entwine with his philosophy and lifestyle. His motto: “Never give up!”. An athlete, a passionate and an outstanding Olympic Boxing coach, for whom family and freedom of choice have always been great motivation to find a lifestyle that would provide him the full harmony and security. It has become a reality, since he made the decision about the sale of two boxing clubs, which he owned and fully engaged in the project together is with his wife and son. He transferred all determination, commitment and experience in leading the winners in the ring to lead the winning teams and build a network in SoftMarketing. He chose DuoLife as his development environment because he feels that he is treated here with extreme care. He fact that completely won him over was that SoftMarketing project is based on relationships, trust, respect for each other and on the most important trend that is timeless, that is on health. Thanks to this system, he feels safe, because it is a project that gives him freedom of investment, unlimited financial possibilities, passive income, educational support and ready solutions in the field of health, development and finances. Karol, a businessman, has 30-year business experience in different trades: service, commercial, and even in restaurant branches. He was looking for an ideal business. For 15 years he has been involved in import from China. However, he has always esteemed trainings and invested in himself, and valued the development of the financial intelligence. Over time he realized that import from Asia would not bring him a passive income. When he learnt about the SoftMarketing and the DuoLife Club – a Polish company providing health education and natural solutions in a growing health business, he realized that this could be what he had been looking for. Karol had no experience in the SoftMarketing but he knew that he had to attend every training organized by the company. He made use of his new skills and achieved yet another success. Today he appears on the stage, trains other people who are interested in a new model of business. Karol has almost entirely given up the import business. The co-operation with the DuoLife Company gave him, as he claims, “A glimmer in the tunnel” – made him convinced that when he stops working, he will still generate income from the market built earlier. As far back as 2015 he joined the “Become a Business Star” Programme, and that is why he drives a C-Class Mercedes. In 1996, Nataliya created an online journal under the title “Way of Life,” which she published together with Roman Sobolewski until 2016.In the course of 20 years in MLM, Nataliya conducted hundreds of motivational trainings and training seminars and organised and carried out International Training Academies.MLM allowed Nataliya to live her life to the fullest and realise her wildest dreams. 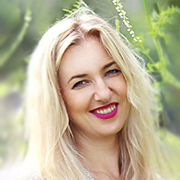 In May 2018, Nataliya discovered a new, more dynamic and promising model of business – Soft Marketing.Thanks to the Soft Marketing system and her contacts from previous years, in three months, she reached the position of Regional Director. Anna has always worked as a salesperson, accomplishing her tasks and sales goals. When in 2013 an opportunity to cooperate with DuoLife appeared, she thought: "Why not?" After all, it was a new experience and products with which she was working for 10 years. Although she did not deal with network marketing before, she was building her second team while working on a full-time basis. When she was dismissed after completing another task, she decided that it was time to start working to make her dreams come true. 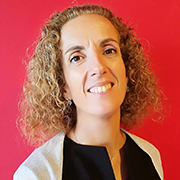 Benefiting from 25 years’ experience in sales and the new market opportunities, she perfectly fitted into the SoftMarketing model. Now she fulfils herself as a wife, mother and grandmother, builds passive income and has time to develop hers passions, improving the social role of the President of the Polish Herbal and Medical Chamber. For him, SoftMarketing truly became a lifestyle because it is in complete harmony with his values. When she got pregnant with her third child in 2015, she decided to sell everything and devote herself to her family. But when her son was 20 months old, a friend introduced her to Duolife, which was just entering the Slovak market. It was in February 2017. The company’s philosophy and the products themselves convinced her so much that she was among the first people who started creating Duolife in Slovakia. Her life motto is, “Happy mother = happy whole family”. She is interested in personal development, education, working for herself and she willingly helps others. She found it all in Duolife. In 20 months at DuoLife, she built a stable structure and earned such income that she no longer has to return to her previous work. The high pace of work and underestimation of managers took its toll and Lívia understood that that was not what she would want to do for the rest of her life. At the end of her maternity leave, she re-evaluated her life and needs, and decided to choose her own way of doing business instead of the “stability” at her previously work place. Thanks to DuoLife, her needs and values came together – business without pre-investments, freedom of decision, slow pace of work, self-education, travels, as well as the opportunity to help others and the opportunity to combine SoftMarketing with different types of business or employment. Teresa supports everyone around her by following innovative concepts that promote awareness of their own health, and she performs individually planned actions with each of the patients, based on her health program called "My New self". Teresa met Marco Patinha, her husband and business partner, in Social Marketing 24 years ago. By working together, they have achieved great success in several network companies. Thanks to DuoLife, Teresa has discovered how important the concept of Conscious Life and SoftMarketing is in life and business. She is impressed by DuoLife and feels at home here. After 19 weeks of intensive, organized and focused work, she and her husband have achieved a position of the Regional Director. As a Civil Diplomacy Chaplain, Marco focuses on a development of the high level of leadership throughout a whole team. Marco met Teresa Patinha, his wife and business partner, in Social Marketing 24 years ago. By working together, they achieved great success in several network companies. His participation in LDS in Poland was a crucial moment when deciding to join DuoLife. Upline and the Board of Directors presented a concrete plan of action, which was amazing, and for which Marco is very grateful. 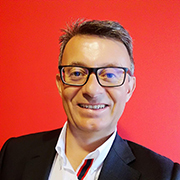 After 19 weeks of intensive, organized and focused work, he and his wife have achieved a position of the Regional Director with his heart full of happiness for their Team.